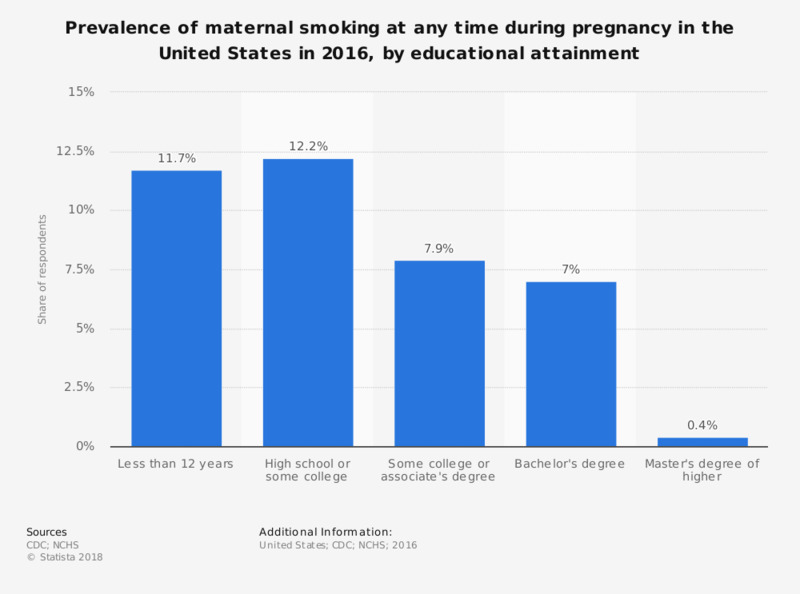 This statistic shows the prevalence of maternal smoking at any time during pregnancy in the United States in 2016, by educational attainment. Approximately 11.7 percent of pregnant women with an education level of less than twelve years smoked sometime during their pregnancy. Everything On "Pregnancy" in One Document: Edited and Divided into Handy Chapters. Including Detailed References.